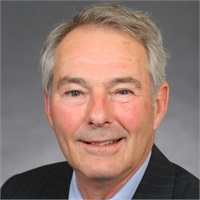 Thomas Petrone, CLU | Petrone Associates, Inc.
Tom launched his financial services career in 1965 in New York City. In March 1968, he earned the prestigious Chartered Life Underwriter designation from the American College. Tom is also a Registered Representative of Park Avenue Securities for the sale of securities. In January 1970, Tom became the youngest General Agent in the history of the Mutual Life Insurance Company of New York (MONY). In 1971, Tom was recognized as MONY’s leading General Agent. In 1988, Tom became a General Agent for The Guardian Life Insurance Company of America. Tom has received numerous company and industry awards, and is a multiple winner of the coveted National Quality Award. In 2005, Guardian awarded Tom its Career Development Award for the sixth consecutive year. Tom is the president of Petrone Associates, Inc., which currently partners with more than 1,000 financial professionals. He is a graduate of Gettysburg College. Tom has four adult sons and lives in Princeton, NJ with his wife. Registered Representative of Park Avenue Securities LLC and Financial Representative of Guardian.